Saving for retirement shouldn’t be about achieving some specific dollar amount, or even about specific investments to get there. It’s about figuring out what retirement means to you, and making sure retirement is both affordable and meets your lifestyle goals in a meaningful way. Then, deciding on how to get there by designing a holistic strategy that treats your retirement portfolio as the sum of all the parts. Benjamin Franklin once said: “By failing to prepare, you are preparing to fail.” That is especially true when it comes to retirement. But retirement planning, or as we like to call it, lifestyle planning, doesn’t have to be scary, nor volatile. Sometimes investors and advisors get too lost in the mechanics of investment planning to realize that what they need is not necessarily a retirement portfolio that will achieve some pre-set numeric goal but one that will address the real-life wants and needs that an investor faces. A holistic retirement strategy favors income generation over capital growth when an investor is approaching retirement. That could mean accepting a slightly lower rate of return on your retirement investments, but it also means fewer concerns about market volatility and less worrying about future income. 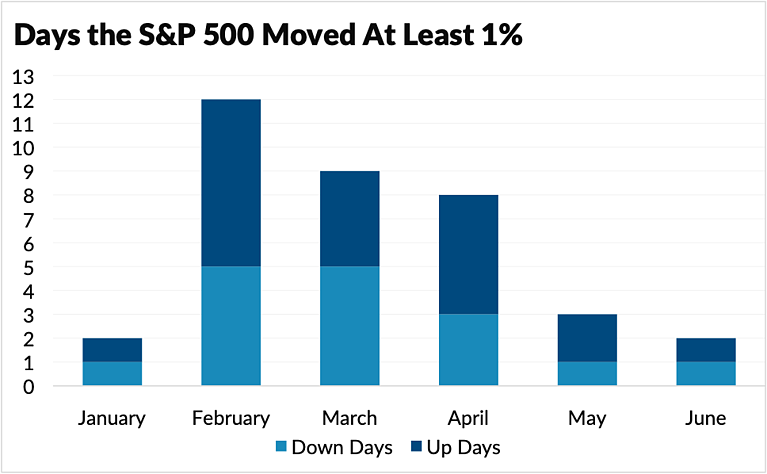 For example, a lot of pre-retirees and retirees were spooked earlier this year when volatility returned to the markets with a vengeance, but just as quickly that volatility died down to normal levels. See the chart below. The point is, if you were invested in a long-term portfolio that appropriately addressed your goals and future income needs, you wouldn’t be worried about pulling your money out of the stock market just to avoid bursts of volatility or short-term downturns in the market. The chart below gives you an idea of the opportunity costs of trying to time the market. A holistic strategy would provide you with a durable portfolio that was designed to weather markets storms and achieve competitive returns by connecting each investment as part of an overarching financial plan – a portfolio in which protection of capital is a principal consideration. Volatility is not something to fear, but rather an opportunity to purchase undervalued assets when others are selling, and to sell overvalued assets when others are buying. We believe paying a fair valuation is more critical than investing in the right assets. Prepare long in advance of retirement. Do you know your net worth? Do you know your risk tolerance and exposure? Do you have clear goals and objectives already written out? How much income will you need to retire on? What is the lifestyle you are trying to maintain? Again, that doesn’t mean you need to come up with a dollar figure for retirement. Every investor is different, but most people fall somewhere in between 65-85% of their pre-retirement income for their retirement needs. It could be lower, especially if you plan of moving to a smaller place or moving to a different part of the country. On the other hand, if you have health issues or big plans on traveling after you retire, your costs could be higher. What are your sources of income? Aside from Social Security, do you have any other guaranteed sources of income such as pensions or fixed annuities? 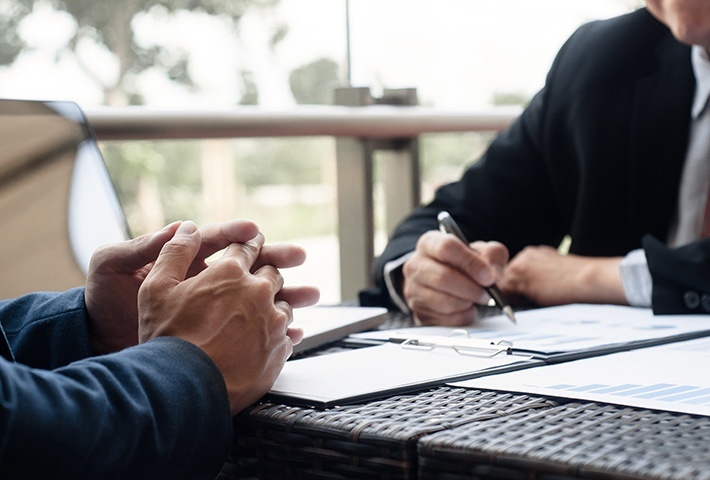 Sit down with a personal financial advisor who can help you craft a robust retirement portfolio that includes rigorous investment analysis, consistency of returns, risk control, a strict valuation discipline, and access to inefficient markets. And be diligent about investing regularly in that portfolio, regardless of volatility. Together with your advisor, map out a holistic retirement plan that takes all four of the bullet points above into account, and maintains an asset allocation and income stream for retirement that supports a lifelong retirement withdrawal plan. Saving for retirement isn’t easy, but with preparation, discipline, and a holistic strategy it doesn’t have to be volatile or scary. And it could reward you with the retirement you always dreamed of. First Foundation is there to help. Through a combination of four personalized solutions-- investment management, wealth planning, trust services and philanthropy services—First Foundation offers the type of holistic lifestyle planning that investors will find important in shaping their future.